ESP, the events company contracted to deliver the Pride Festival have distanced themselves from today’s controversy surrounding the decision to ban an refugee rights advocacy group from the Pride Parade. This morning it came to light that the Refugee Action Network’s ‘Rainbows for Refugees’ entry in the parade had been rejected at the last minute. The group was informed that they could not take part in the parade because their event was a political protest. News of the decision saw Pride WA’s social media channels flooded with complaints from supporters who highlighted the pride movement itself began as a political protest. Within hours the decision was reversed, and the group was again given permission to take part in the parade. 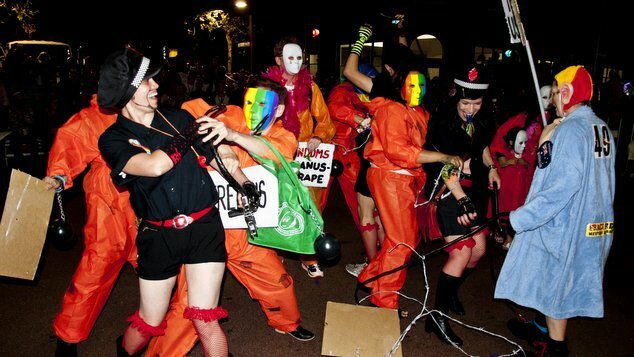 While many directed their dismay at Pride WA, the events company that is contracted to deliver the parade also copped negative feedback online and abusive phone calls. ESP have contacted OUTinPerth and stressed that they had no part in the decision to ban the group, and that they have no opinion on the Refugee Action Network. A spokesperson for the company said the decision was down to Pride WA. The Pride Parade gets underway at 8pm tonight, and the Pride WA official after-party will be in Lot 10 South, of Yagan Square. OIP Staff, image: Pride Parade 2014.